Manchester City have looked every bit the champions in a 6-0 demolition of Chelsea that moved them back atop the English Premier League. 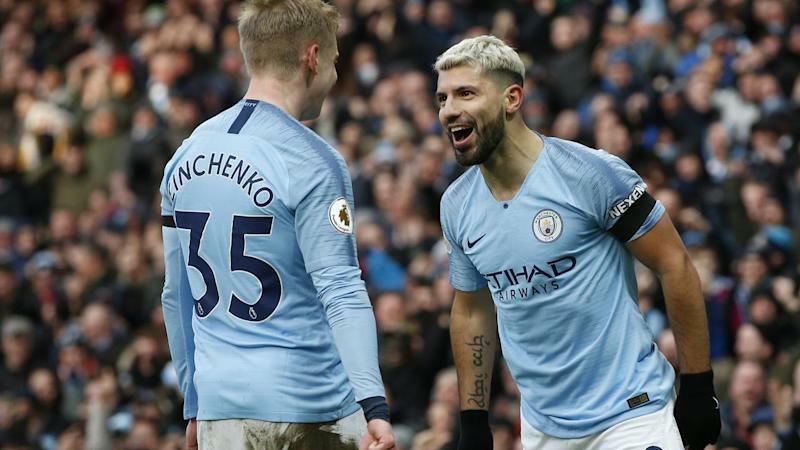 Sergio Aguero's record-equalling hat-trick on Sunday helped lift the Pep Guardiola's side above Liverpool, who have played one game less, on goal difference. Raheem Sterling also scored twice and Ilkay Gundogan added a goal as City handed Chelsea their biggest competitive loss since 1991. "Incredible game," Guardiola told the BBC. "To score six against Chelsea and the way we played, we had so much attention. "We did it, it's an incredible compliment to the players, they are outstanding." City had the perfect response to Liverpool going top on Saturday, overwhelming Chelsea with four goals in the opening 25 minutes at Etihad Stadium. Sterling got things started in the fourth minute and Aguero then shot wide from point-blank range after being left alone at the far post. But he more than made up for it by scoring twice in six minutes to break the game open. His first fired a brilliant 25-yard strike into the top corner before sweeping home his club-record 159th league goal after Ross Barkley's poorly headed back-pass. Guendogan then capped the outburst by beating Kepa Arrizabalaga from just outside the area. Aguero struck again with a second-half penalty, equalling Alan Shearer's record of 11 Premier League hat-tricks, and Sterling completed the thrashing with his second. Liverpool will play their game in hand at Manchester United on February 24, the same day City face Chelsea in the League Cup final. "Top of the league, we have to wait to see when Liverpool go to Old Trafford as we have played one more game," Guardiola said. "They win that and they are leaders, with us behind. But I am proud." The loss dropped Chelsea to sixth below Arsenal on goals scored with both sides level on points and goal difference. "It is one of the worst nights in my career," defender Cesar Azpilicueta said. "It is difficult to explain what happened. Totttenham continue to be a presence in the title race after fighting past Leicester City 3-1. 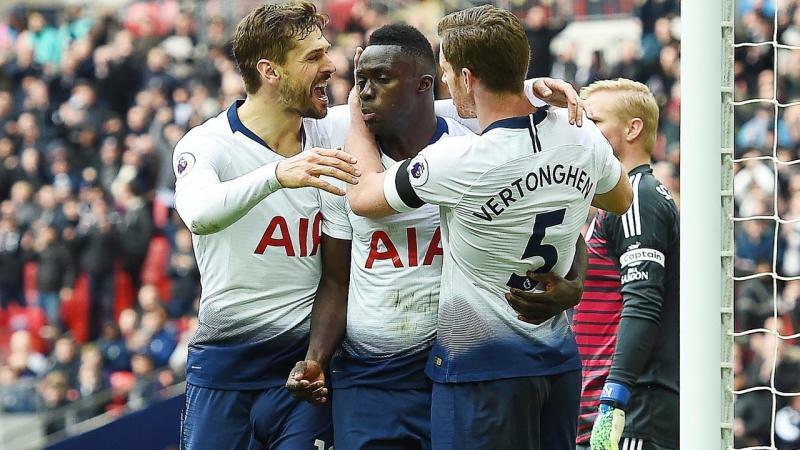 "We had to fight for it, we knew it was going to be a tough game," Eriksen told Sky Sports after Tottenham's fourth straight league win. "They didn't make it easy for us but we got the three points and that's what everyone wanted." Wolverhampton Wanderers look for a fourth straight win when they host relegation-threatened Newcastle on Monday.